Alcohol is an easily accessible, legal substance and because of this, the fact that it is of high risk for being abused is often overlooked. Also, because so many people consume alcohol, in moderation, on a recreational basis, many don’t realize that they or someone they love has a drinking problem. Alcoholism is one of the most common addictions in the world. An alcoholic is defined as someone who has become dependent on alcohol consumption and feels that they cannot function normally without it. They may need to consume alcohol on a daily basis or perhaps only a few times a week but in excessively large quantities. Alcoholism has many consequences in a person’s life and may affect their ability to function at work or at school. It may interfere with their relationships or it can affect their financial situation. It can also have serious long-term effects on someone’s health, contributing to issues such as ulcers, liver disease, stroke, heart disease or cancer to name a few. In Canada the guidelines for alcohol abuse state that in order to remain in the low risk category for developing a dependency to alcohol, women should consume less than 10 drinks per week and no more than 3 at any single occasion and men should consume less than 15 per week and no more than 4 at any one time. Overcoming alcohol addiction can be difficult. Alcohol is an extremely addictive substance and those who have developed a dependency to it often find it very difficult to stop drinking. Alcohol is made up of ethanol and this chemical causes the brain to react in some very specific ways. Ethanol causes chemicals to be released that create feelings of relaxation and increased happiness. It also brings about feelings of pleasure, euphoria and an increased level of self-confidence. Over time, the body learns to compensate for the extra release of these chemicals and produces different chemicals to counteract these effects. That is why people who drink, frequently build up a tolerance to alcohol and require more of it in order to feel the same effects as before. There are many options available that can help someone overcome their addiction or dependency to alcohol. The right mindset and proper compliance to your healthcare practitioners advice will allow for the highest level of success. Naltrexone – Naltrexone is a prescription medication that is used both with alcohol dependence and other drug addictions. It decreases the pleasurable feeling that accompanies alcohol consumption, therefore making drinking less enjoyable. Acamprosate – This drug works by mimicking certain chemicals in the brain and decreasing the cravings for alcohol. This reduction in desire leads to a decrease in the consumption of alcohol. Disulfiram – This medication interferes with the normal break down and metabolism of alcohol in the body. In doing so, a wide range of unpleasant effects are felt. Disulfiram can cause headaches, nausea, vomiting and a racing heart. 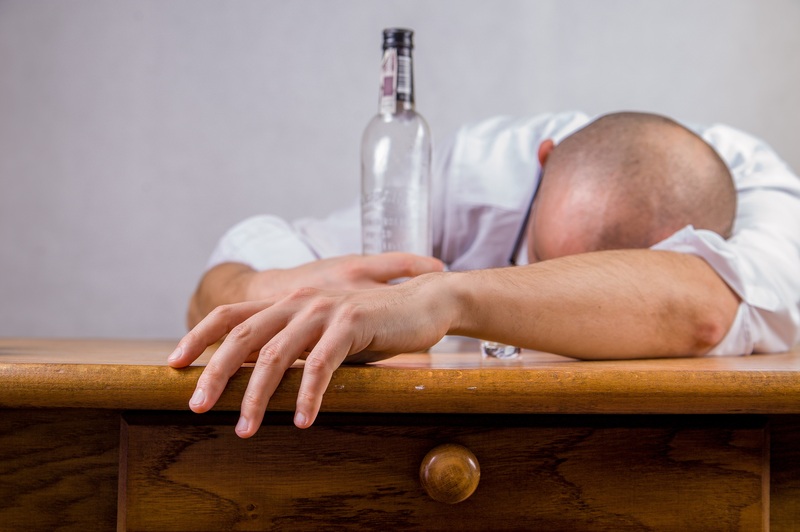 It is prescribed to deter people from drinking because any alcohol consumed during treatment with this drug will result in these unpleasant symptoms being felt. As with any drug addiction, the best chance for successful recovery comes from a combination of different treatment options. Being adherent to the prescribed drug therapies, behavior therapies and counselling services suggested by your healthcare team will provide the best chance of total rehabilitation from alcohol addiction or dependence.